Bollywood actress Aishwarya rai dooned in Burberry polka dot full sleeve top and black denim pant for her upcoming movie Jazbaa promotions. Bollywood actress Deepika padukone in Sabyasachi red traditional silk saree for Asian paints world of Nilaya Ad. Bollywood actress Lara dutta dressed in floor length anarkali with shimmer border for her movie singh is bling promotions.She looked Elegant. 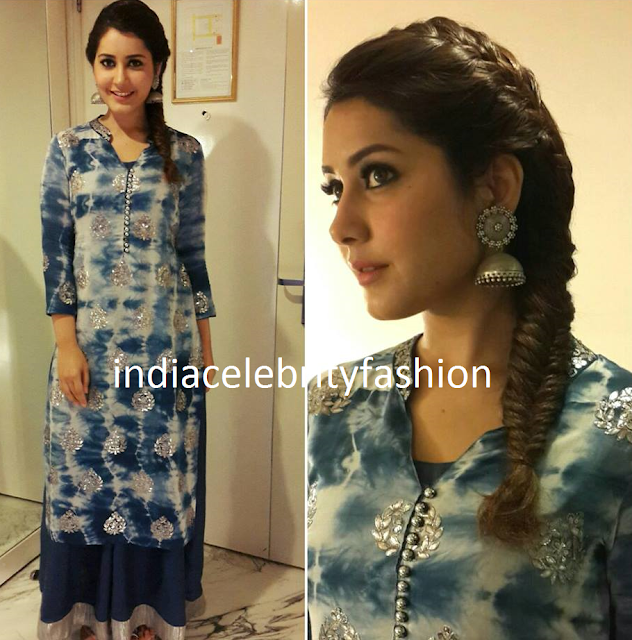 Raashi khanna in maroon Zara dress and Statement chain at Shivam movie promotions. 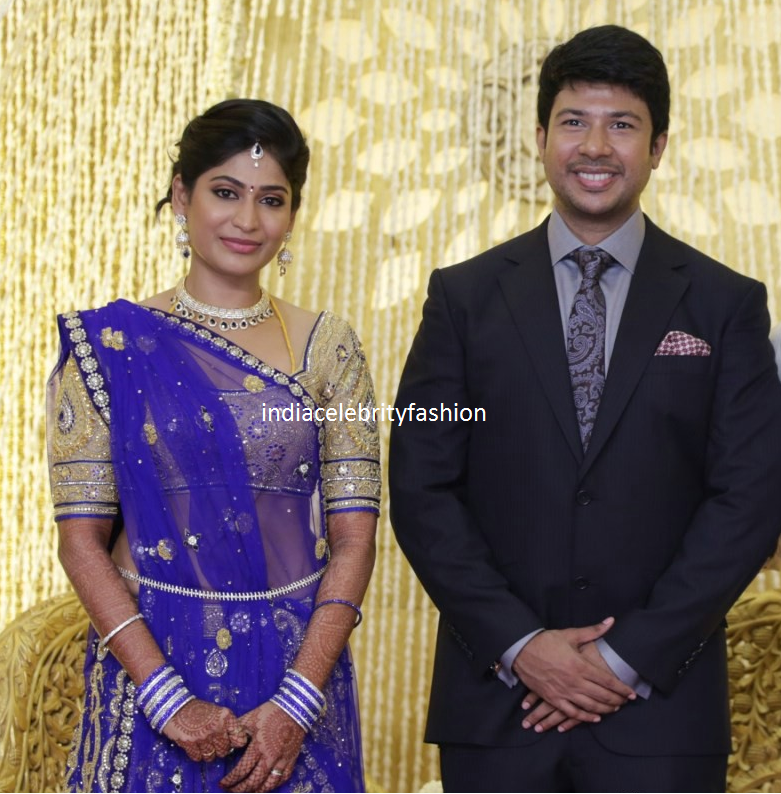 Actress Vijayalakshmi and feroz mohammad wedding reception photos.Vijayalakshmi looked beautiful in bridal designer blue lehenga with rich gold work and quarter sleeve gold work blouse.Feroz looked simple in black suit. Amy jackson in designer gown by Ramikadi at GQ Awards 2015. Bollywood actress Deepika padukone in gaurav gupta white long gown at GQ Awards 2015. 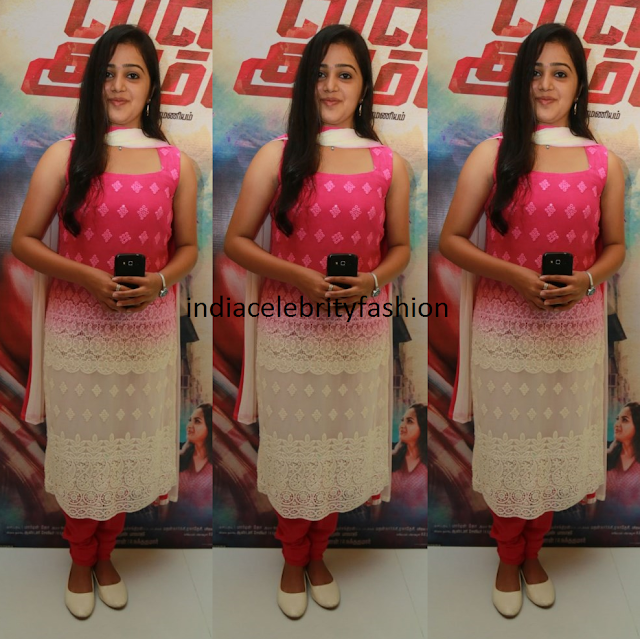 Actress Srushti Dange in blue long skirt and blouse with embroidery work border at Vil Ambu movie audio launch. 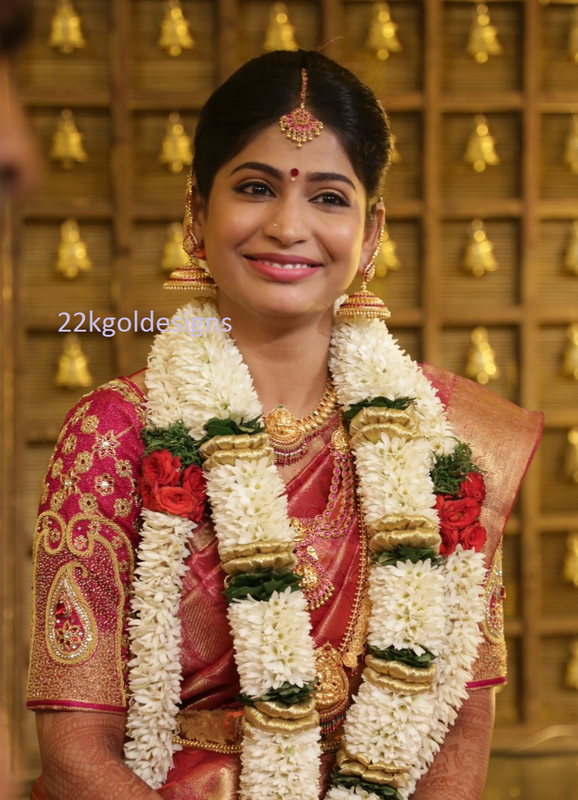 Tamil actress Vijayalakshmi and feroz mohammad wedding photos.She looked gorgeous in a maroon kanjivaram saree with quarter sleeve gold work blouse and temple bridal gold jewellery. Aishwarya rai looked chic in Monisha Jaising blazer,printed top,black skinny jeans,black pumps and updo hair at Jazbaa promotion event in Mumbai. Bollywood actress Yami gautam launched Samsung galaxy note 5.She wore a white,blue and black color dress and ankle strap black sandals. Zoa morani looked beautiful in ridhi mehra black cape ensemble at Bhaag johnny screening. Ameesha patel looked good in a us polo collar t-shirt and distressed blue jeans at Kis kisko pyaar karoon screening. 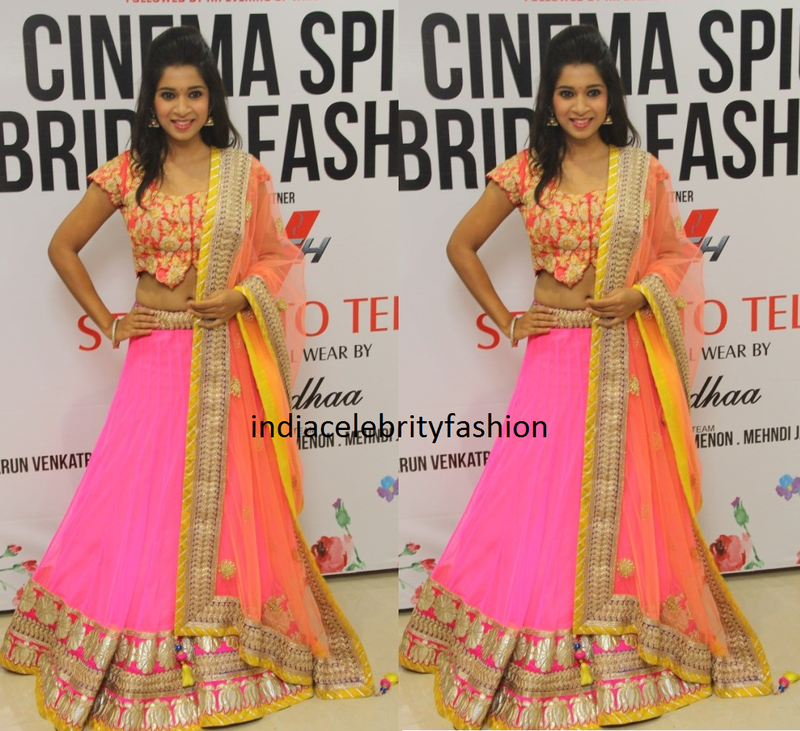 Beautiful Multi color half saree(Langa Voni) at cinema spice bridal fashion event at touch makeover studio. 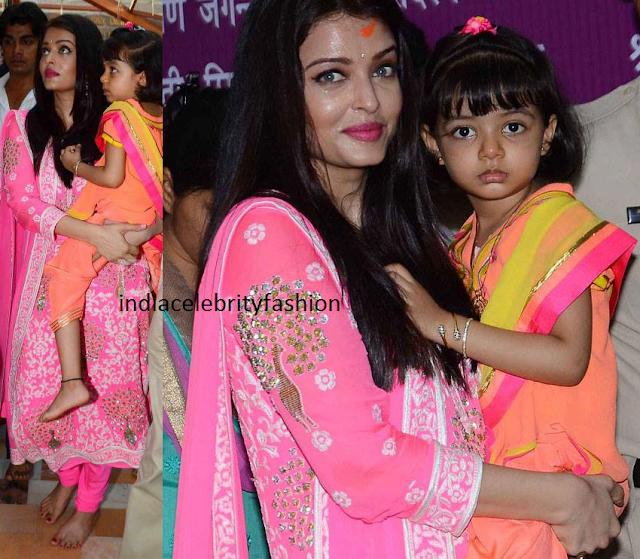 Aishwarya rai was as pretty as a rose in a candy pink georgette, resham embroidered kurta and little Aaradhya looked every inch the Devi herself in an orange and yellow multi layered salwar kameez with triangular applique work and a multi-coloured dupatta at Siddhivinayak Temple. 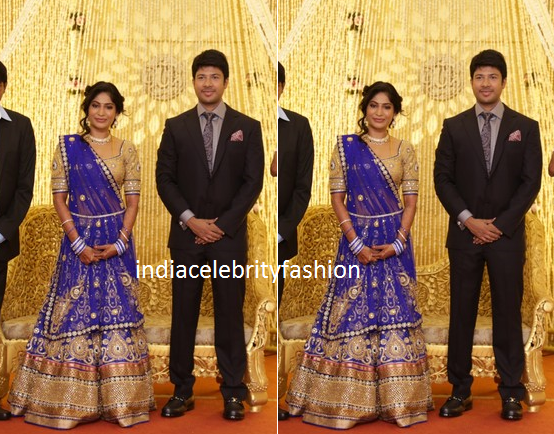 Shilpa Shetty in a Tarun Tahiliani outfit at Suron Ke Rang event in Mumbai. 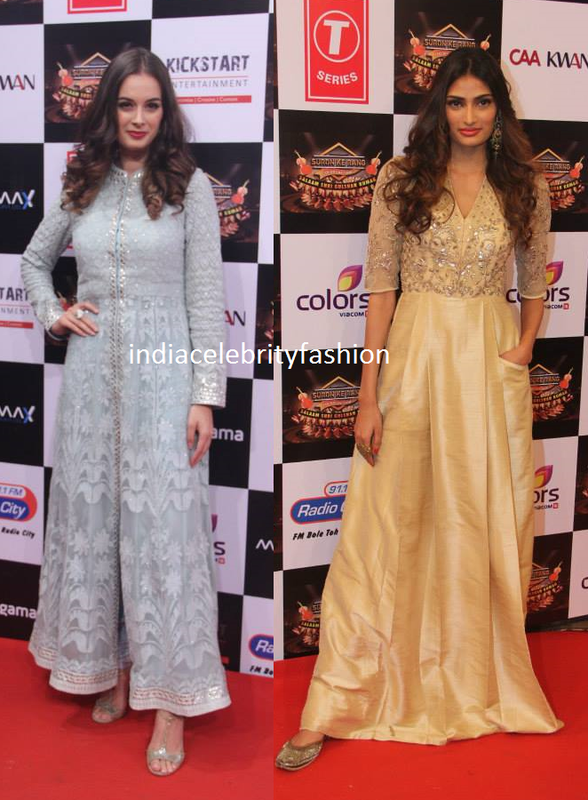 Evelyn sharma looked beautiful in a pastel embroidered jacket set.Athiya shetty picked an Ekaja raw silk gown with delicate gota patti embroidery from Anita dongre's weddingdairies collection.You can shop online for this gold gown here. Tamannh looked chic in all black in the bengal tiger new poster. 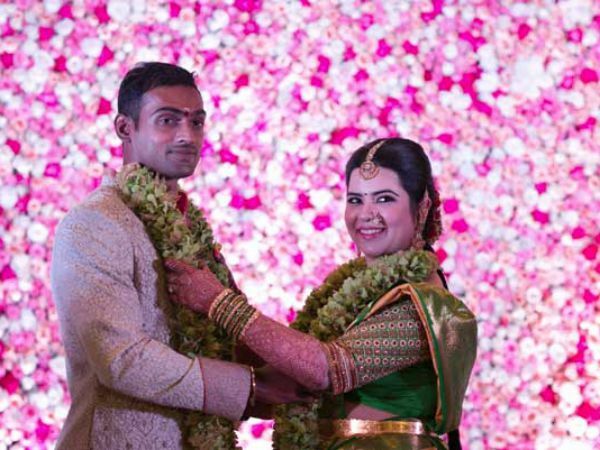 Actor Srikanth and wife Vandana attended Elite expo 2015 inauguration held at The Park Hotel.Vandana wore and black and white color collar neck lace asymmetrical kurta. 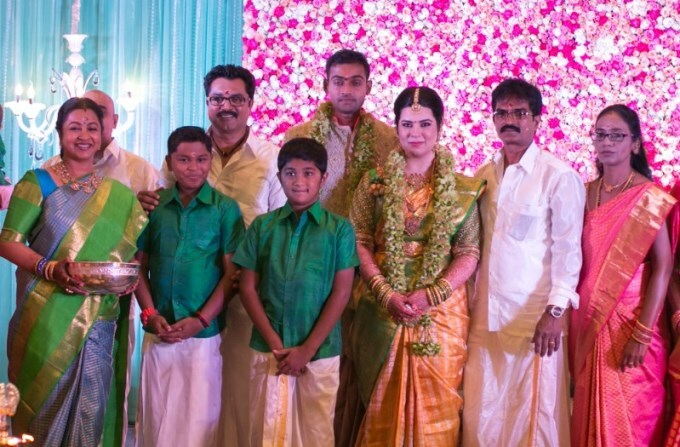 Shilpa shetty visited Andheri ka raja Ganapati along with her son Viaan and her parents in Priyal prakash yellow and pink color saree with temple border. 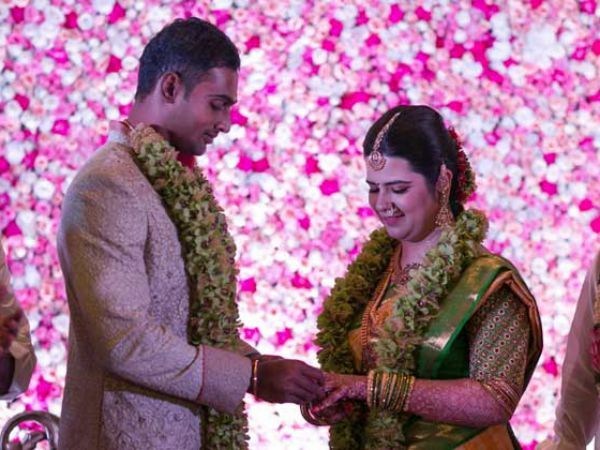 Yesteryear actress Radhika sarathkumar daughter Rayane got engaged to Mumbai Indians cricketer Abimanyu mithun.The lavish engagement event held in chennai.Rayane looked beautiful in a green and yellow checked kanjivaram saree with elbow length designer embroidery work blouse and temple gold jewellery.Love her Traditional attire ! 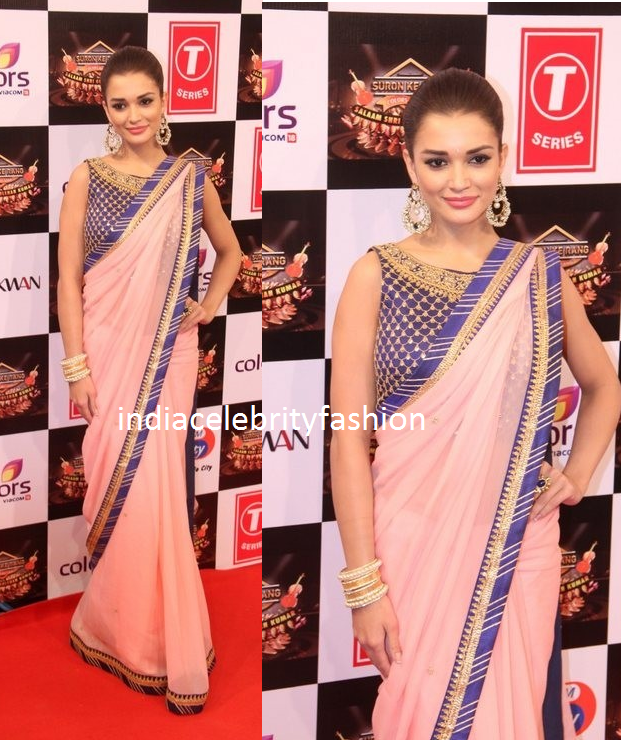 Bollywood actress Amy jackson choosed a light pink color sari with blue and gold border teamed with sleeveless designer blouse for Gulshan kumar tribute event.She looked pretty with pearl jewellery.What do you say?? 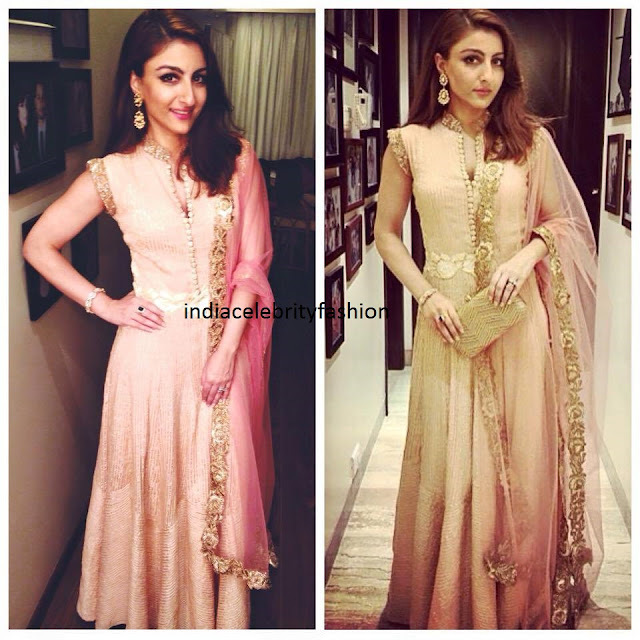 Bollywood actress Soha ali khan looked gorgeous in manish malhotra's light pink color floor length anarakli at SuronkeRang tribute concert to Gulshan kumar.She looked even more beautiful with gold color clutch and diamond jewellery. 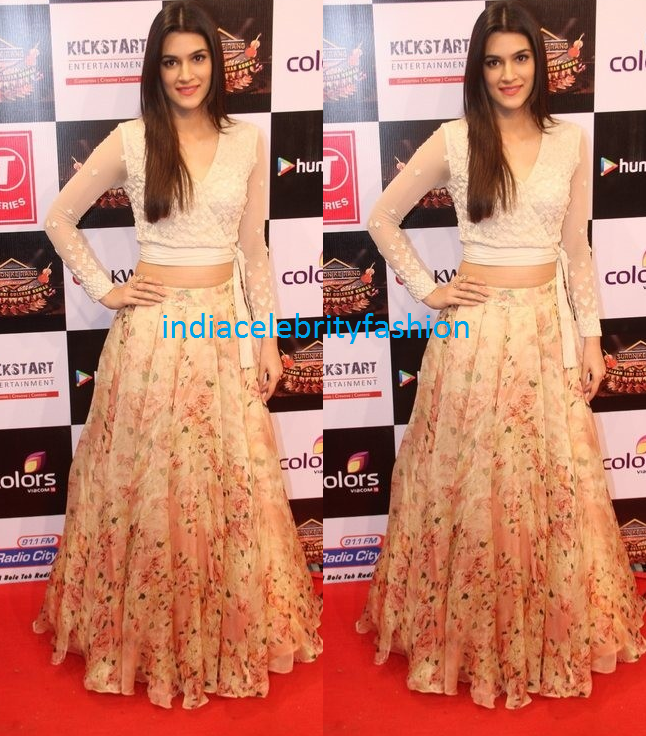 Bollywood actress Kriti sanon in varun bahl floral print lehenga at Suron ke sang red carpet event. 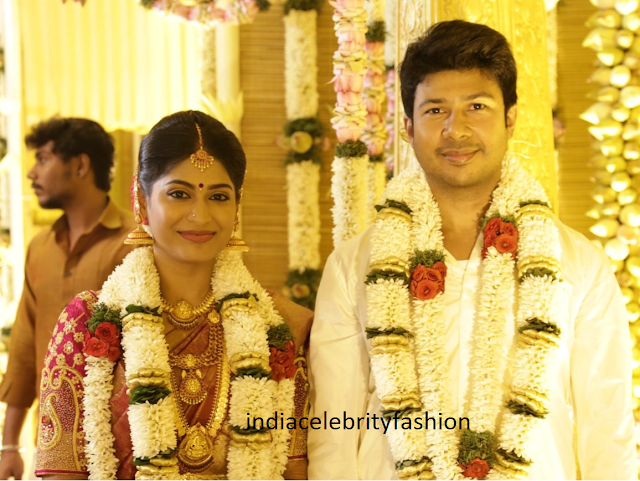 South indian actress Regina cassandra in yellow color sleeveless long salwar kameez at 92.7 big fm green ganesha Aarthi. 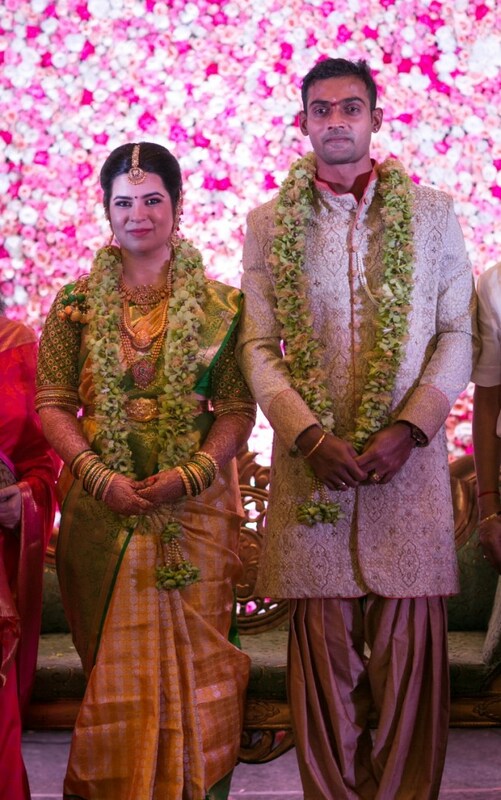 South indian actress Lakshmi manchu in Swatee singh designer dress,wavy hair and chanel clutch for a Prom Night.She looked beautiful !